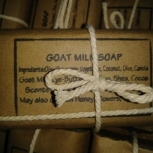 Our goat milk soap ingredients are some or all of: Coconut, Palm, Vegetable, and Olive oils along with Shea Butter, Goat milk & Sodium Hydroxide and Fragrance/Essential oils. 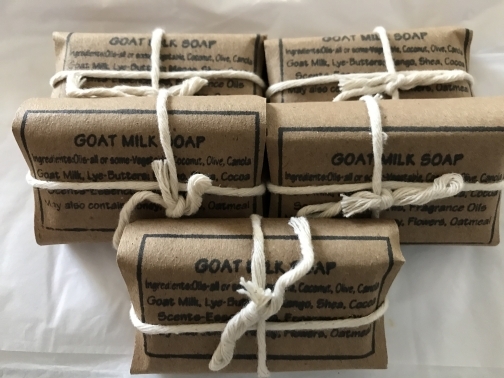 Choose from Black Amber Lavender, English Rose, Milk honey oatmeal vanilla, along with unscented for those who may have allergies. Hand made here on our farm. We introduced a sample size bar that averages 1.5/2 oz bar during the past Holiday season for stocking stuffers and we soon learned those hosting Airbnb in their homes found it to be a perfect size for their guests. Try all scents or select the fragrance of your choice in the set. Item ships from: Anderson, SC, US. Shipping only in the USA at this time, via USPS priority mail. Because they are personal use items, we cannot accept returns. If you did not receive your order as promised, please feel free to contact us.